Laugh if you must, but Deadpool 2 has officially entered the Oscars race. 20th Century Fox has launched an official awards season campaign for the superhero movie sequel in the hopes of garnering some attention from The Academy. Fox is campaigning to get Deadpool 2 nominated in virtually every major category, including Best Picture. Does this mean the movie has an actual shot at any Academy Award nominations? No, but the campaign is certainly real. While this may sound a bit ridiculous on the surface, is it really all that outlandish? Deadpool 2 was received very well by critics and audiences alike and comic book movies have become an increasingly serious genre within the Hollywood landscape. Logan scored a Best Adapted Screenplay Oscar nomination last year and there is a very strong chance that Black Panther could break the curse and become the first comic book movie to be nominated for Best Picture. So why not put Deadpool 2 up for some awards recognition? It's worth remembering that Fox launched a similar "for your consideration" ad campaign for the first Deadpool in 2016. Ultimately, they failed to get any Oscar love, but the movie did well elsewhere. Deadpool earned two Golden Globe nominations for Best Motion Picture: Musical or Comedy and Ryan Reynolds for Best Performance by an Actor in a Motion Picture: Musical or Comedy. The movie also scored some Critics Choice Awards as well. There has been increased pressure on The Academy to make the Oscars more relevant to average moviegoers, as the telecast has suffered ratings drops in recent years. Part of that discussion involved the creation of a new category specifically to honor popular movies. The idea was wildly unpopular and was quickly rescinded. But something like that would have made it more likely for a movie like Deadpool 2 to actually get a major nomination. Deadpool 2 brought in an impressive $734 million at the global box office and Fox is looking to keep that hot streak alive with a PG-13 holiday-themed version of the movie hitting theaters on December 12 titled Once Upon a Deadpool, which features Fred Savage (unwillingly) reprising his role from The Princess Bride. So even if they can't manage to score any Academy Award nominations, they can at least look forward to a little more cash at the box office. 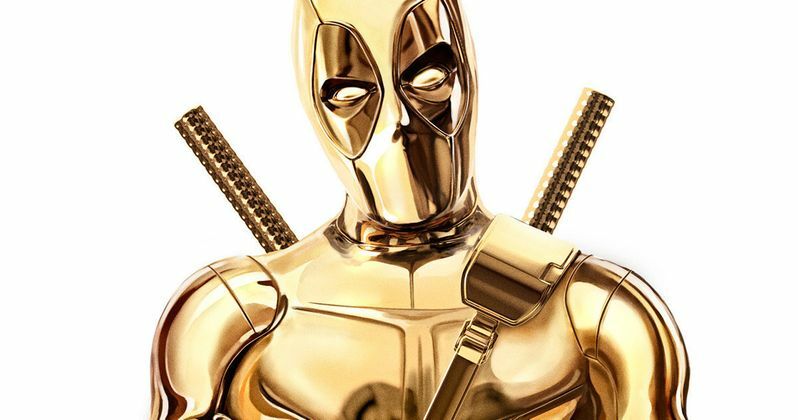 Be sure to check out a full list of the awards Fox is pursuing for Deadpool 2 below.